When the KIA Stinger first hit the auto show stage, it changed the game forever. No longer would KIA be viewed as just a cheap economy brand, known for making bland transportation-mobiles. From then on, KIA has been considered a genuine player in the sport sedan segment, thanks to the surprisingly good Stinger. 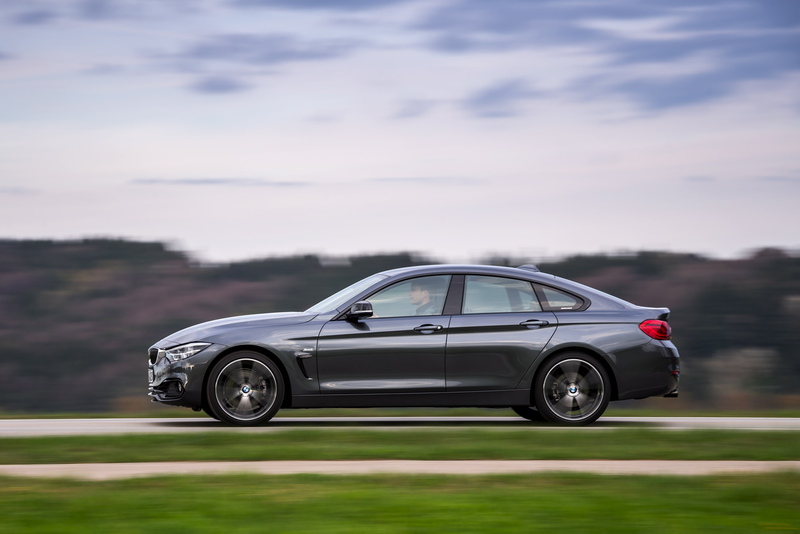 Can it stack up against more premium offerings, though, such as the BMW 4 Series Gran Coupe? Kelly Blue Book recently put the two together to find out. These two cars are surprisingly similar, to be honest. Both are four-door lift-back “coupes” that blend the sleek look of a sedan with the low roofline of a coupe and the practical tailgate of a hatchback. So they’re both good looking, practical and spacious. They’re also both rear-wheel drive as-standard with all-wheel drive options. Both come with four-cylinder and six-cylinder engine options and both have eight-speed automatic transmissions. In terms of performance, both cars are matched pretty well. The four-cylinder engines for the Bimmer and KIA make 248 hp and 255 hp, respectively. They also make 258 lb-ft and 260 lb-ft, respectively. Since those were the models KBB was looking at, those are the one’s we’re going to talk about here. So, on paper, they stack up pretty well. But which one is best? According to Kelly Blue Book, it’s the KIA Stinger. Both are great cars to drive but the Stinger is a bit more exciting, thanks to its more raucous engine/exhaust noise and more engaging steering, while also being a lot cheaper. It also has more adjustability with its settings for steering and suspension, independently. So despite being the newcomer from an unlikely brand, the KIA Stinger is a genuine sport sedan and one that any enthusiast should be happy to own. While not as premium as the BMW 4 Series Gran Coupe, the Stinger is significantly cheaper and can be optioned nicely before it even reaches the base price of the 4er. For enthusiasts on a budget or without brand snobbery, it’s hard to pass on the newer entry from South Korea. Previous post Awesome or Appalling: BMW and Mercedes potentially working together?